Its been quite a week! I know its only Wednesday! ... Lets just say COME ON WEEKEND!!! Fortunately, these are not for family, but for colleagues at work the had some deaths in their families. Its nice to get off the holiday bandwagon, and get into another occasion card. Keeps me fresh! 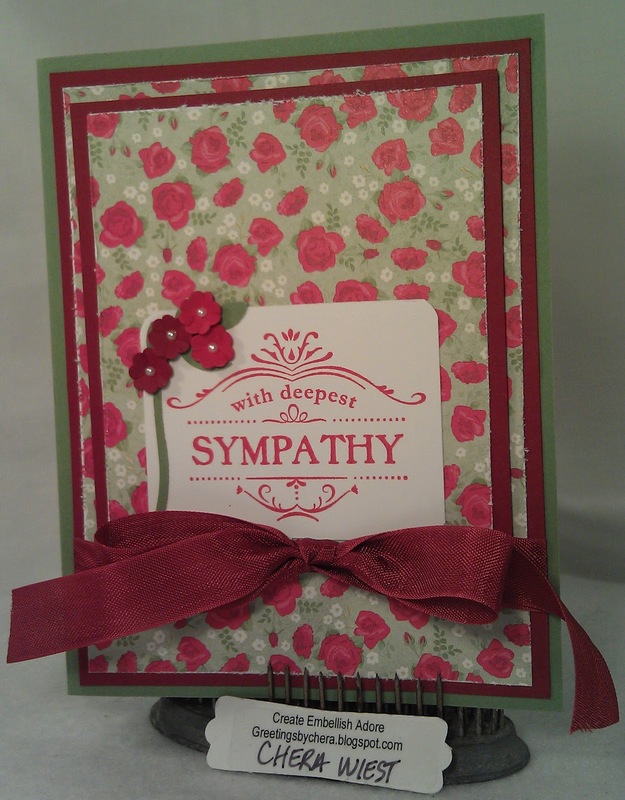 I wanted cheery... so when I remembered I had this DSP, I just cut some up and made it simple. 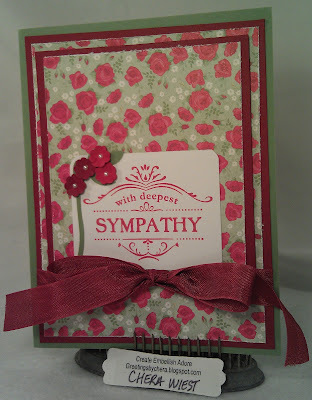 I added some little flowers and a sprig of greens from the two step bird punch. Then I added tiny little pearls to the centers. Its a pretty card. I think I achieved CHEERY! 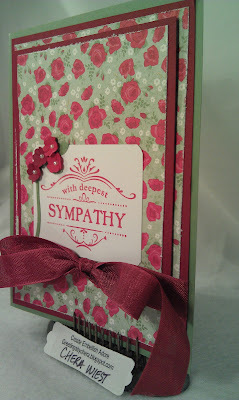 beautiful card, I just got done mailing out a few sympathy cards that I had been procrastinating on for awhile.